Supplied with mains adapter & cigarette lighter adapter. 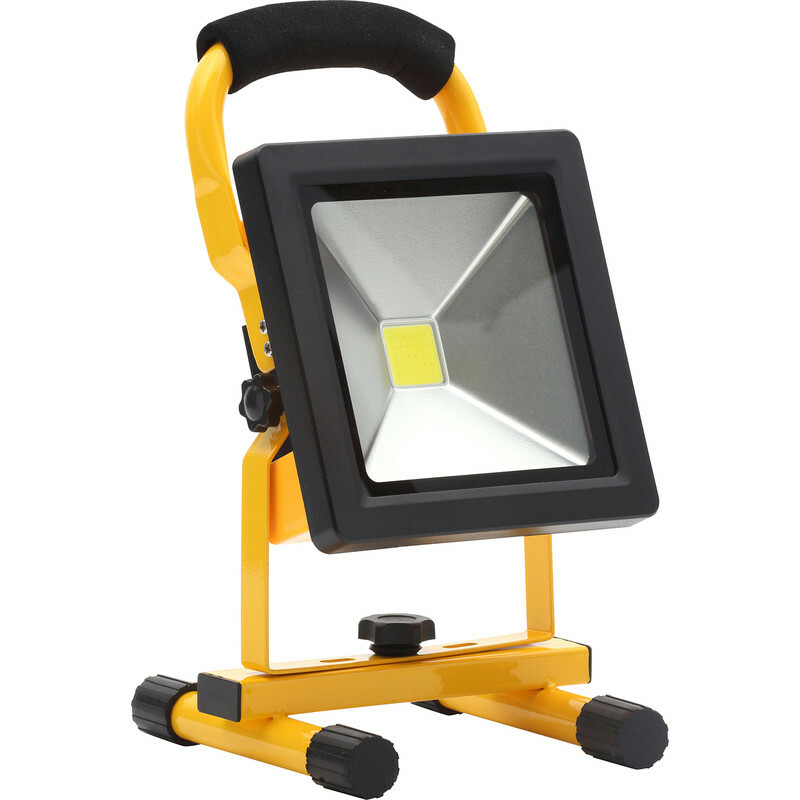 Zinc Rechargeable Work Light IP65 20W 1400lm is rated 4.5 out of 5 by 8. Rated 5 out of 5 by SiRider from It is bright and portable! I use this for DIY jobs around the house and under the car! I store so it is easily accessible and during a recent power cut it was invaluable. It is awesome gives a really good light and is easy to move and position. Charge time isn't an issue for me as left it to charge all day when I first got it and haven’t had to charge again yet. All in all good value for money. Rated 5 out of 5 by Billybnpt from Neat and Tidy Worklight,Compact Design When I bought this worklight,I turned it on straight from box to see how long it would last.Instructions said it would last 4hours and to my amazement it kept going for nearly 9hours at a bright light.MORE THAN HAPPY WITH THE PRODUCT. Rated 3 out of 5 by Housewright from It works If you are looking at this then move on and pay the extra for the more powerful light . It is small and as bright as a tea light! But it does do what is says. Rated 4 out of 5 by ELANDEO 9 from Robust and works well this lamp works well, however it is not really strong enough to give sufficient work light . Rated 5 out of 5 by Steve the decorator1951 from Great LED worklight. Purchased 2 10W work lights and so pleased with them purchased the 'bigger brother'; the 20W lamp. Very pleased with these lamps especially in enclosed spaces such as a loft etc. Gives a good bright white 'spread' light. Excellent bit of kit. The lamp charges in about 3 hours and gives similar time light output. Keeps cool when working in confined spaces and nice and light to carry. Cannot really comment on reliability; tell you in years to come! So far so good.